SECAUCUS, N.J. — The Vitamin Shoppe announced its new vendor incubation program, Launchpad. Designed to introduce emerging brands and innovative products to The Vitamin Shoppe customers, Launchpad further showcases the retailer’s commitment to incubating the next wave of industry innovators. 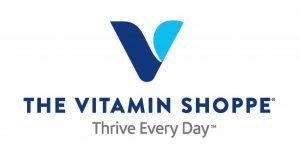 Since its inception, The Vitamin Shoppe has fostered relationships with some of the world’s most notable vitamin and supplement brands in their infancy, and is credited with helping these brands gain national recognition. With more than four decades of successful collaborations and approximately 1,000 national brands, The Vitamin Shoppe is continuing its mission to discover and foster game-changing brands and industry disruptors through its Launchpad program. The Vitamin Shoppe Launchpad program is currently accepting submissions from nutritional supplement, natural health and organic beauty vendors. For more information and to submit a product for consideration, please visit www.VitaminShoppe.com/lp/launchpad.